Home > How Many People Died In The Vietnam War? It is not easy to come up with exact war casualty figures particularly in a long guerrilla war like Vietnam. Since the end of the war in 1975, there are a number of estimates of its casualties drawn up, but they often vary and sometimes even contradict each other. In the entire war, estimates of the total death toll range widely from 1.3 million, according to Guenter Lewy1, to 3.9 million, according to R. J. Rummel2. Owing to relatively low casualty rates & careful records from their governments, estimates of U.S. and allied forces fatalities except South Vietnam are quite reliable. During the war, the United States lost 58,220 military personnel, in which 47,434 were killed in action while 10,786 died by other causes3. All of them were listed on the Vietnam War Memorial located in Washington D.C. Among the allies, South Korea suffered the highest casualties with 4,407 killed in action4; Australia had 5005; Thailand, 351; and New Zealand, 834. Compared to the solid estimates of U.S. casualties, estimates of the Army of the Republic of Vietnam (ARVN) casualties vary. A low figure is 110,357 killed in action, while other figures range as many as 184,000 or even as high as 250,0006. According to an estimate provided by R. J. Rummel, the figure is a bit higher at around 313,000 dead during the war2. In 1978, Guenter Lewy, in his book “America in Vietnam”, estimated that total Communist losses were put at some 666,000 dead. He even suggested that one-third of the reported “enemy” killed might have been civilians, and concluded that the actual figure was probably closer to 444,000 deaths1. However, this figure is significantly low compared to than other estimates. Hanoi in its official report in 1995 claimed that 1.1 million Communist fighters, included both Viet Cong and NVA personnel, had died during the war. This figure is more acceptable and closer to the U.S. Department of Defense’s estimate of 950,765 communists killed from 1965 to 19747 and R. J. Rummel’s estimate of 1,011,000 North Vietnamese combatant deaths. As regards the communist allies, the People’s Republic of China (PRC) reported losing 1,100 soldiers. Soviet Union lost around 16 men while North Korea lost 14, 11 of whom were pilots4. The exact number of civilian casualties during the Vietnam War is also uncertain. Estimates of Vietnamese civilian casualties were only conducted under pressure of Senate committees led by Senator Edward Kennedy7. The estimate, based on alternative extrapolations from the number of hospital admissions of war casualties, ranges between 195,000 and 430,000 civilian war deaths in South Vietnam from 1965 to 1974. According to R. J. Rummel’s estimate, some 164,000 South Vietnamese civilians were killed by NVA/Viet Cong forces, including 17,000 South Vietnamese civil servants2. As for the allied forces, the ARVN and U.S. Army committed around 60,000 democidal killings2. In addition, around 2,500 South Vietnamese civilians who were suspected to be Communists fell victim to massacres conducted by South Korean Army. According to Lewy’s estimate, the number of North Vietnamese civilians killed by Americans bombing was 65,0001. This figure is more than twice as many as the U.S. government estimate of 30,000 people killed in North Vietnam4. However, according to the official estimate of Hanoi in 1995, the number of civilian deaths in the entire war were almost 2 million people8, which is four times higher than other estimates. Lewy G., “America in Vietnam”, p.450-453. Rummel R. J., “Vietnam Democide: Estimates, Sources, and Caculations”, Retrieved April 10, 2014 from http://www.hawaii.edu/powerkills/SOD.TAB6.1A.GIF. 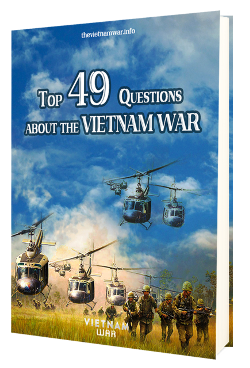 Tucker S. C.,The Encyclopedia of the Vietnam War, Volume I, p.176. “Population and Development Review”, Volume 21, Issue 4, p.790. 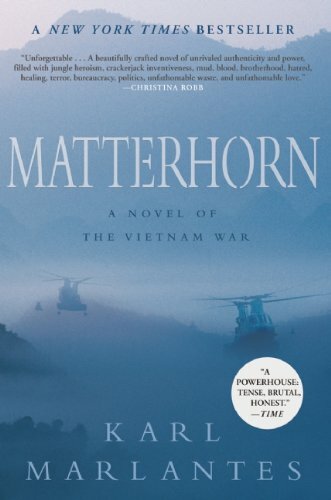 Previous Post: Where did the Vietnam War take place? Next Post: Why was the Tet Offensive the turning point of the Vietnam War?